What is an omg file and how do I open an omg file? OMG is a disk image file created by O&O DiskImage, a Disk image creation and file backup application. It contains a perfect copy of the original disk image. The disk image copy includes all the sectors of the drive and creates an image of the file system with all the files and folders; similar to ISO, BIN, and DMG disk image files. It is recommended by the software company that files are saved to the O&O DiskImage Express program folder on an external hard disk and the image too. 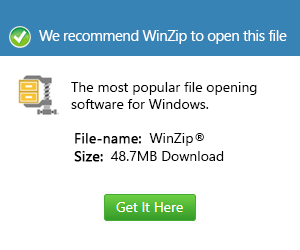 This would avoid saving the image to a drive you later wish to restore. You cannot restore a drive storing the image or parts thereof, as this will be totally overwritten during a restore and all the data on it will be replaced by the image. An image is a "mirror copy" of your drive. This copy contains all information taken from the original drive including partitions. A unique feature of an image is that the file format is specially compressed and takes up far less disk space than the original. The more frequently a user creates images of your drive, the less worry there is about data loss. Should data on the original drive be lost or damaged, you can restore your last image with all its data onto your computer. OMG files may also be files saved with OpenMG Jukebox (Sony) and FileViewPro.